The Financial Times isn’t the only prestigious publication to rank the Freeman School highly in recent months. The Wall Street Journal, Entrepreneur, Forbes, U.S. News & World Report, and Latin America’s AméricaEconomía and Expansion have each ranked Freeman among the best in recent surveys. The rankings kicked off in August, when Latin American business magazine AméricaEconomía ranked Freeman 17th among U.S. business schools and 26th internationally on its list of the best global MBA programs for Latin Americans. AméricaEconomía also ranked the Freeman School’s MBA of the Americas Executive MBA program, a joint venture with Universidad de Chile, 17th on its list of the best Latin MBA programs. Also in August, Mexican business magazine Expansion ranked the Freeman School 28th among U.S. business schools and 48th internationally on its list of Best Global MBAs. The ranking is based on diverse criteria including average GMAT score, student selectivity, percentage of PhD-level faculty, research quality, average salary of graduates, percent employed three months after graduation, and reputation among recruiters. Closing out the month, the Freeman School’s BSM program was ranked 48th by U.S. News & World Report on its list of the best undergraduate business programs. In September, the Freeman School broke into The Wall Street Journal’s ranking of the top MBA programs for the first time in seven years. 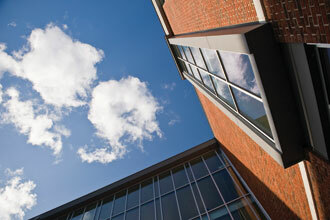 The Wall Street Journal ranked Freeman 48th on its list of regional MBA programs. Unlike other surveys, the Wall Street Journal ranking is based entirely on the opinions of MBA recruiters. The Wall Street Journal/Harris Interactive contacted more than 4,000 MBA recruiters and asked them to rate schools with whcih they had had contact. The recruiters provided a total of 6,151 school ratings. Of the 256 schools eligible for inclusion, only 86 received the necessary minimum of 20 recruiter rankings. Also in September, Forbes magazine ranked Freeman 44th in the nation and 28th among private universities in its biennial ranking of top MBA programs. The Forbes survey is unique in that it ranks schools based on their return on investment, meaning compensation five years after graduation minus tuition and foregone salary during school. Freeman ranked 51st on the list in the magazine’s 2005 survey. In October, the Freeman School’s Executive MBA program was ranked the 38th best in the U.S. and 74th internationally by the Financial Times in its annual executive education report. And, finally, in November, Entrepreneur magazine and the Princeton Review ranked the Freeman School 15th on their annual list of Best Graduate Programs for Entrepreneurs. It was the second straight year Freeman made the magazine’s list of top programs for entrepreneurs. Entrepreneur and the Princeton Review surveyed more than 900 schools for this year’s ranking, a 30 percent increase over last year, and they evaluated entrepreneurship programs on key criteria including academics and requirement, students and faculty, and outside-the-classroom support and experience.